Regular yard cleanup is either a joyful or a dreaded task. We either like to get out and do yard work or we don’t. However, like raking leaves, we have to get spring cleanup done and it's best to do it early, get it done, so you can enjoy the warm weather. When we shake off a long winter or clean up after a bad storm, it is easy to want to go and buy new items. This year, start with an attitude of savings and using up old items. Yard cleanup can be turned into an enjoyable task when the entire family is involved and when old, excess items are used up for the current year. Look how you can combine the efforts of neighbors, repurpose old items, and add a coat of paint to an old item to get a new look. Yard Clean Up Tip #1: Make It A Family Affair. The best way to start is to set aside 4-6 hours in 2 hour segments and let the entire family know so they can adjust their schedules. Next, create tasks for everyone to accomplish. Even if the task for the four year old is to play outside on her bike or cleanup the toys in the sandbox, it gets everyone outside and gets everyone together. Kids below the age of ten may benefit from working in teams with a sibling so that they stay on task better and do not lose motivation. Older children may benefit from a written schedule so they know precisely what they need to accomplish. Yard Clean Up Tip #2: Fully Inventory Everything You Have. Great ideas fly early and quickly when you make a plan on what to do for yard clean up. Instead, start by cleaning out the garage, organizing what you have, and creating an inventory list of all that you have for the yard and clean up tasks. I failed to do this one year and found that I had a 3 lb. bag of grass seed already and what appeared to be 20 yard bags. Naturally, I had already gone to the store and purchased these same items. An inventory is a great way to make sure you do not spend unnecessarily and find ways to use what you have. 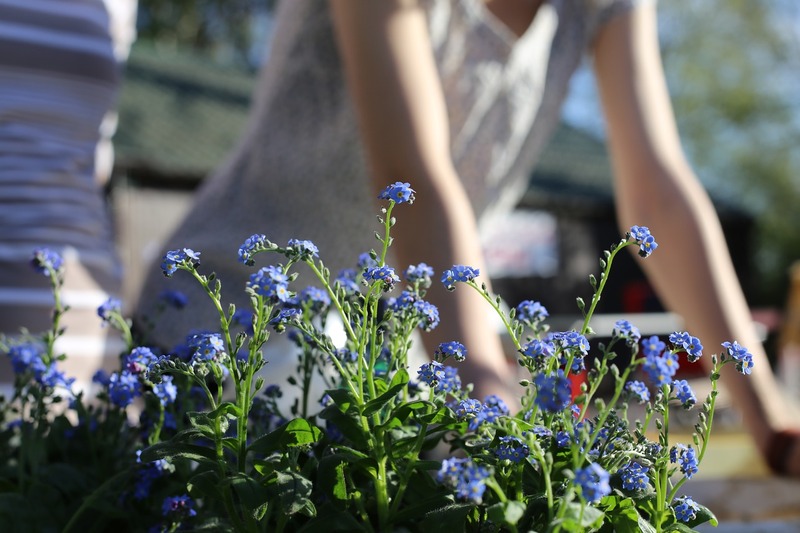 Yard Clean Up Tip #3: Make a Plan With What You Have. Once you have an inventory, make a cleanup plan to use up everything that you have. Use your old grass seed, fertilizer, and plant seeds. If you need to re-landscape, find the remaining rolls of landscape fabric. Find and consolidate all your shovels, rakes, yard tools, and spools of weed trimmer line. This makes an incredible financial difference when you pledge to use what you have vs. purchasing new items. Yard Clean Up Tip #4: Resist The Urge For the New. This is hard. In the spring, sales and advertisements for new plants, lawn mowers, lawn care systems, and the like sprout and bud faster than the trees. Resist this; spend $50 to replace the engine oil and sharpen the blade on your lawn mower. Incremental savings of $50 to $75 a week will add up significantly. If you do need something new, see if any of your neighbors can swap an extra item that you have for what you need. Be creative, maintain the old, and resist the urge to buy new unless absolutely necessary. Yard Clean Up Tip #5: Share Heavy Tasks with Neighbors. Heavy tasks such as spreading rock, working with railroad ties, and planting a tree often require others to assist and to perform the task safely. Find a neighbor or neighbors that you can share the task with so that you can work together, work faster, and work safer on heavy tasks. Working together helps you NOT to have to hire someone else to do the work and it makes stronger friends with your neighbors. Yard Clean Up Tip #6: New Cushions, Not New Furniture. Lawn furniture is one of the top attractions of the new items for spring and summer. One of the best ways to get a new look and feel for the outdoors is to replace the cushions vs. replacing the lawn furniture set. Likewise, outdoor pillows for a few dollars, especially from a secondhand store, can add a new look and feel instantly. 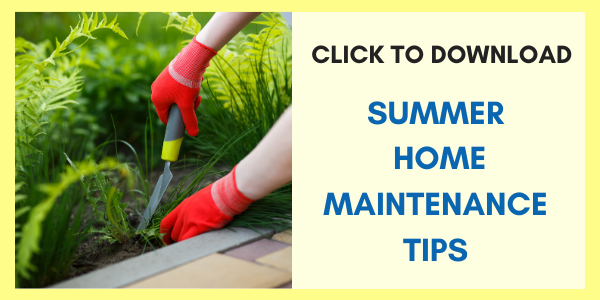 Spring or summer yard cleanup can be turned into an enjoyable task when the entire family is involved and when old, excess items are used up for the current year. Look how you can combine the efforts of neighbors, repurpose old items, and add a coat of paint to an old item to get a new look. Have a great yard cleanup and an enjoyable, fun filled summer! Add your ideas how to make spring or summer cleanup fun, effective, and at a reduced cost! By Chad Storlie. USAA Community Manager. Chad Storlie is a retired US Army Special Forces officer. In his two books: Combat Leader to Corporate Leader and Battlefield to Business Success, Chad teaches how to translate and apply military skills to post-military careers. Chad teaches as an adjunct Lecturer of Marketing at Creighton University, speaks to Fortune 1000 companies, and is a mid-level marketing executive. Content provided courtesy USAA. Used with permission.